Summary: Create your own cast of characters in a relaxed-paced role-playing adventure with plenty of shenanigans- starring you! 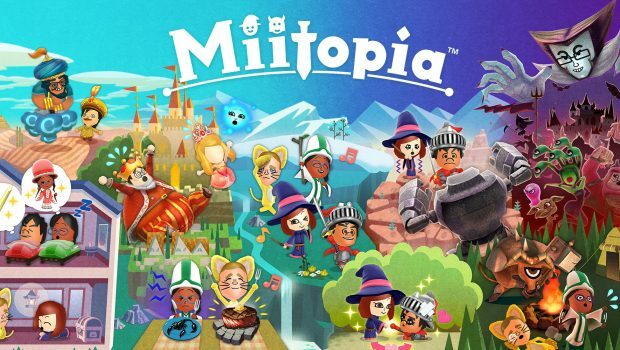 Miitopia is a new role-playing game starring you! 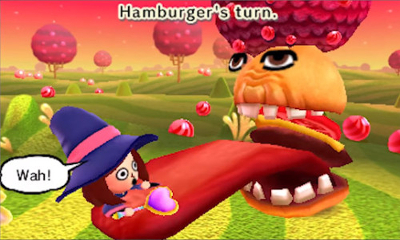 Nintendo’s latest 3DS game emphasizes being able personalize your adventure by assigning the roles of characters in the world of Miitopia to whomever you like, by importing Mii characters or using randomly selected characters from the net. 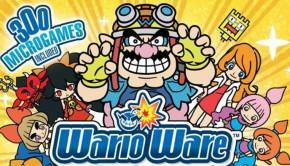 It creates your own quirky little world where your Mii, and your friends, can be the hero to save the day! 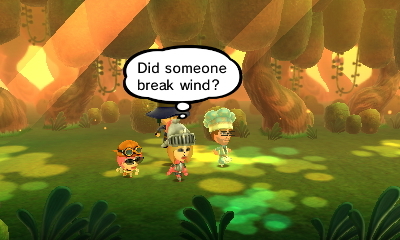 I would argue that Mii characters have been under-utilized for a long time, even in the heyday of Wii party games. 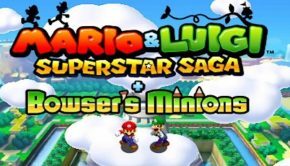 Their existence within most games is just to replace generic avatars, so most people didn’t use them outside of Wii Sports and the occasional round of Mario Kart. Miitopia follows in the footsteps of Tomodachi Life, in the sense that your Miis become characters you can give traits to better reflect the people they represent. 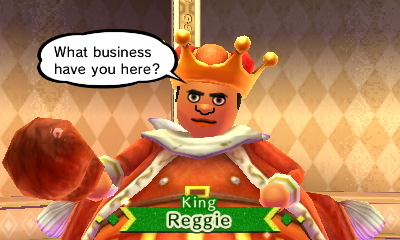 With customization options beyond the standard Mii Maker tool, your avatars become unique and have a genuine value as playable characters in Miitopia. The adventure begins as a humble team of Mii characters form to take on the threat of the Dark Lord, who is stealing the faces of innocent civilians. The beef of the gameplay is divided between enemy encounters and taking care of your adventuring Miis while they visit inns. 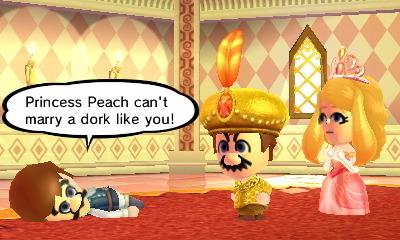 The rest of the game essentially plays itself as you watch your Mii characters establish good relationships and share funny exchanges with one another. Battles are your typical turn-based RPG setup. You can only control your primary character in battle, and your team members will fight autonomously, easing some stress of team management. You can get buffs from having good friendships with your teammates- they’ll offer to help you out with an attack or heal you when you’re low on health. Your primary character will also automatically return that favor every so often. The more you battle, the more experience you gain and level up, making you strong enough to take on harder enemies. But the game is so balanced at all times that there’s not much of a difficulty curve. You’ll never be strained or challenged by the battle system, and the enjoyment you’ll get out of the game comes from watching your characters being goofy. At the end of each path, your party arrives at an inn. It’s here when you can take care of them and help them increase their stats. Feed them food to increase their base strengths- taking into account what they like and dislike. Let them chat to each other to increase their friendship. By pairing Miis up with a room for the night, their relationship will build every day. They’ll ask for money to buy essential items like armor, weapons, and health replenishment, which will keep getting better in quality as long as you keep funding the money. If you keep a good eye on all of these things while staying at an inn, you’ll be pretty well set. You can also play mini-games with tickets you obtain throughout the game, to win extra prizes like food and equipment. Your two options are to spin a wheel for a guaranteed award, or try your hand at a game of ‘rock, paper, scissors’ to win some spending money. The roulette wheel usually offers better rewards and less risk though, so it might be best to avoid challenging the random number generator for cash. The 3DS keeps chugging along, six years after its initial launch. 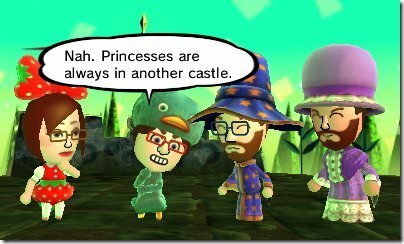 Miitopia still supports the console’s trademark feature – 3D, but to account for that the art is very basic there’s little to look at that’s interesting. 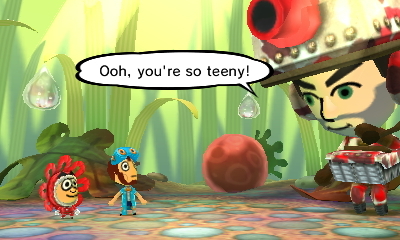 The animations are intentionally crude to convey that same comedic flare as Tomodachi Life. The game’s soundtrack, on the other hand, is quite pleasant! 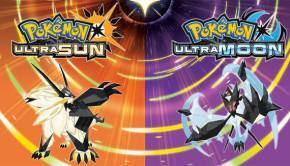 It sets the casual tone of the game from the get-go and never really gets too serious or dramatic. It’s a good reflection of the game itself. 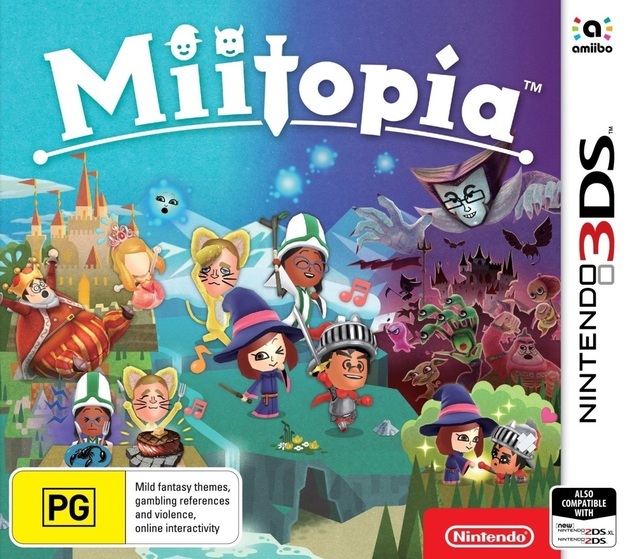 Miitopia’s biggest appeal it its overall quirkiness, and the way you can create a version of yourself in a fantasy world with friends and idols. The entertaining interactions and story you behold is the bread and butter of the game- everything else is just filler by comparison. It’s a display of how Nintendo’s Mii characters work best. As a game, it’s on the simple side- like a beginner’s role-playing game. It’s almost like a proof-of-concept for Mii characters that’s arrived a little late (after all, it’s been over a decade since their introduction). I wouldn’t really call it a game, because the gameplay isn’t the main focus. 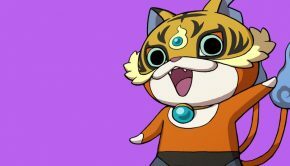 Miitopia is about having a pop star RoboCop fighting a dark lord Pikachu; the absurdity of the randomness that comes with filling a video game world with whomever you darn well please, and there’s something to be enjoyed from that. Scott Romeyn Picked up a controller sometime in 1997 and never put it down. Raised on Super Mario All-Stars and Crash Bandicoot. Started writing at some point. The rest is history.